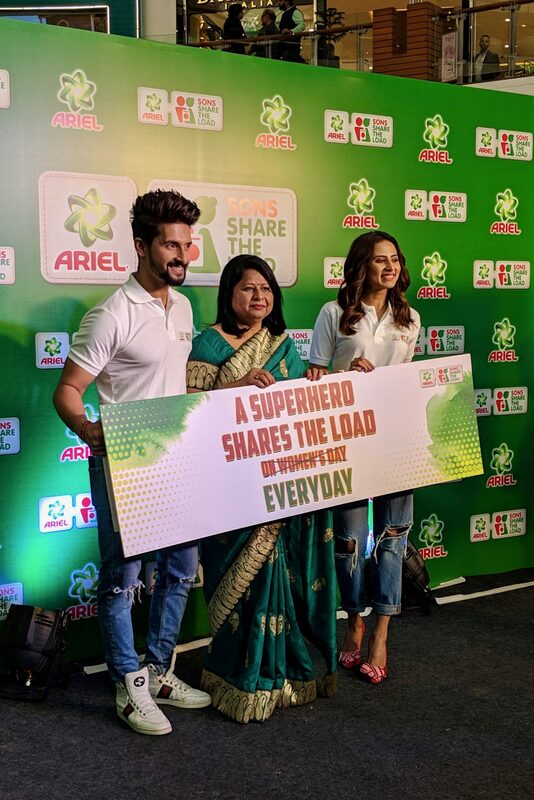 Ariel recently unveiled a unique initiative which is called Sons #ShareTheLoad which emphasizes on the need for sons to Share the load when it comes to household chores. Gone are the days when the women takes full responsibility for the domestic chores. 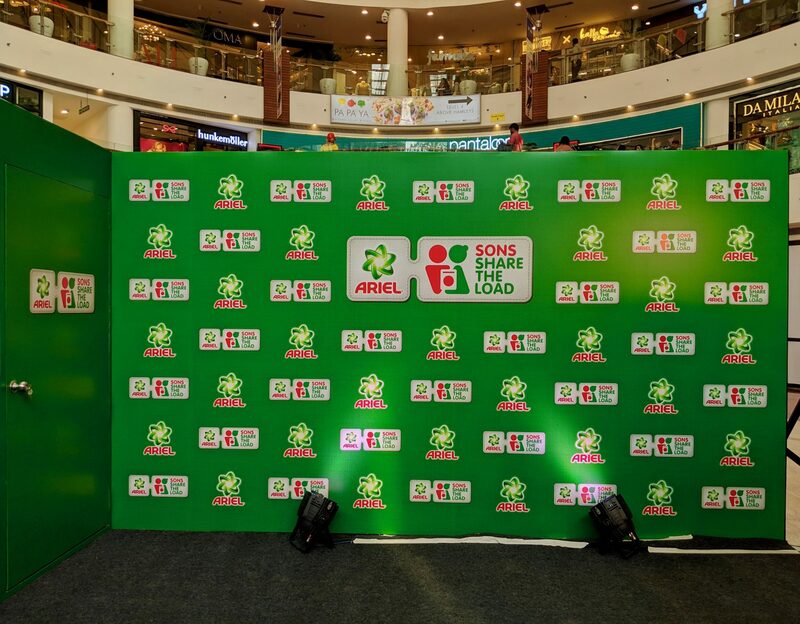 The #ShareTheLoad movement was started in India to address the household inequality that exists in our society. The newly-released edition of #ShareTheLoad raises yet another pertinent question in our direction of household inequality- Are we teaching our sons what we are teaching our daughters? The film that released in January this year garnered 25 million views in just 1 month! Do have a look at the film below! Not only the common man are taking part in this initiative but even celebrities are doing their bit. 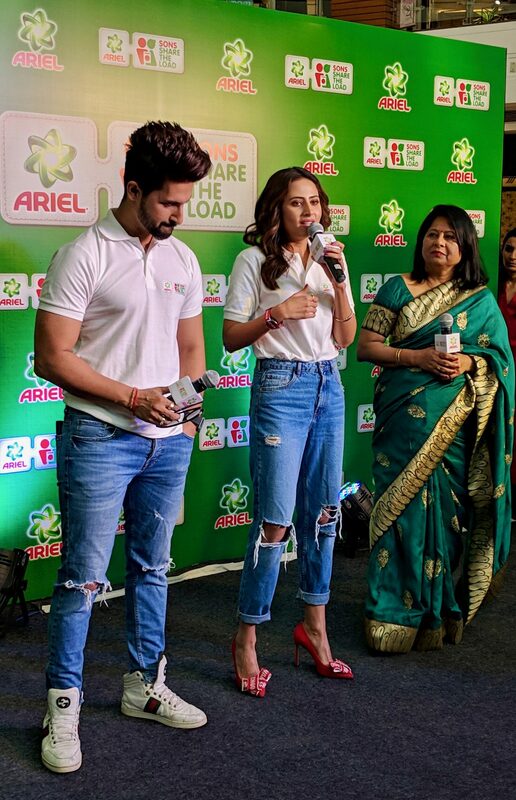 Ravi Dubey, a famous television celebrity along with the two MARVEL’OUS women of his life- his celebrity wife Sargun Mehta and mom Sudha Dubey came together to an event held at a Delhi mall recently this Women’s Day where they spoke about gender equality. Ravi mentioned that he truly believed that ‘Sharing the load at home brings happiness and joy as all women are powerful and amazing with holding the house together and handling responsibilities’. 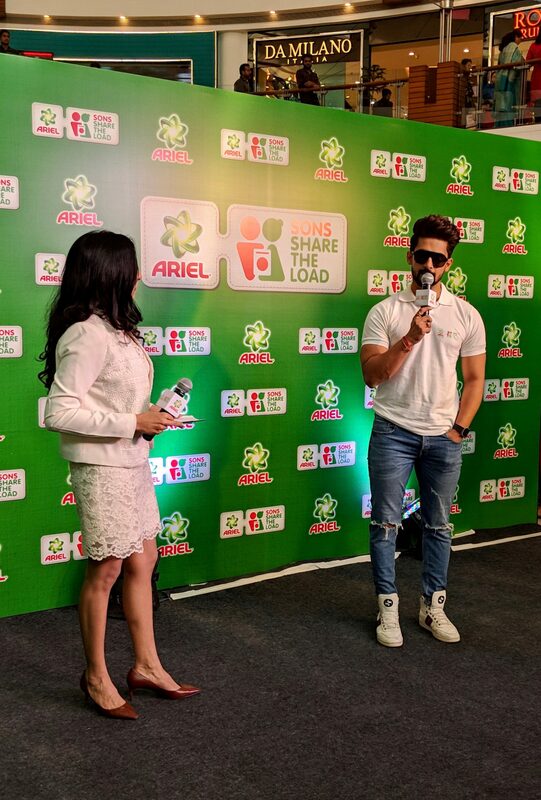 Ravi, Mrs. Sudha Dubey & Sargun interacted with the media, bloggers and their fans at the event and Ravi’s mom mentioned that she had inculcated important values in Ravi at a very young age and that’s why he is grown up to be such a helpful son and she is very proud of him. Even Sargun loves to be around Ravi and is very fond if him and agrees he is a great life partner and Ravi agrees that the load should be shared equally so that it would become “Our Load” and he thanked Ariel for giving him the opportunity to thank the superwomen of his beautiful life. In 2015, Ariel raised very relevant question – Is laundry only a woman’s to draw attention to the uneven distribution of domestic chores. With the 2013 Dads Share The Load’ movement, the conversation was aimed at unearthing the reason for the disparity, which is the cycle of prejudice passed down from one generation to the next. The movement has had significant impact over the years, with more men sharing the load than ever before. In 2015, men thought household chores are a women’s job. 2016, 63% men thought household chores are a woman’s/daughter’s job and work is man’s / son’s job. In 2018, this number has reduced to 52%. Despite progress, more work still to be done. 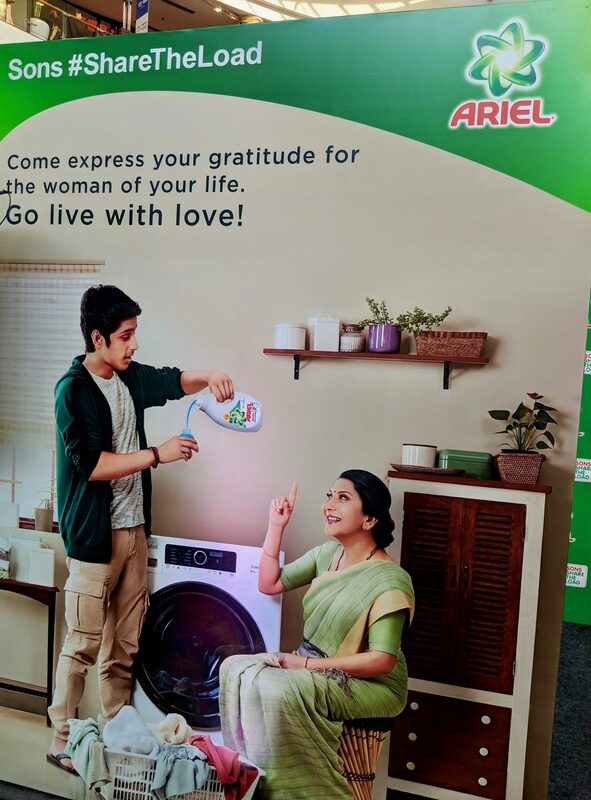 Towards this, recently launched the third leg of the movement with Sons because, with Ariel, laundry becomes the easiest chore to start sharing the load with! 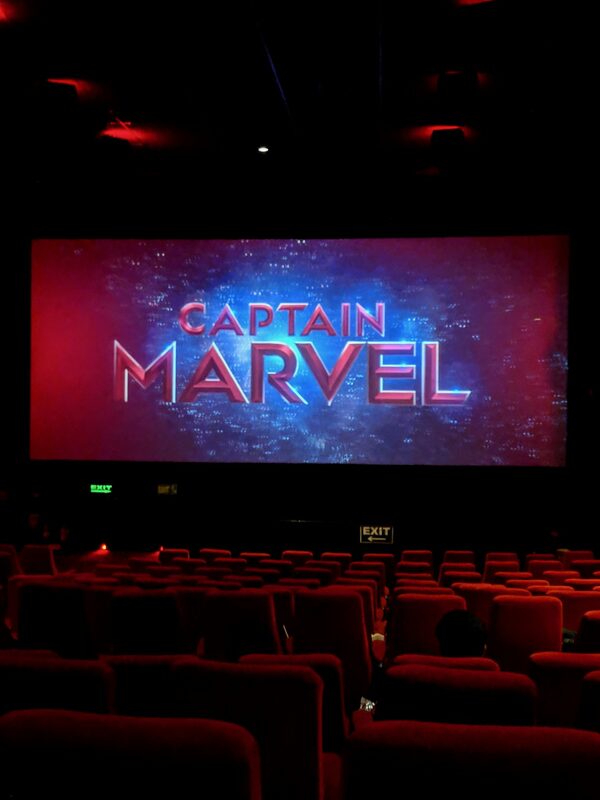 The event was followed by a screening of the latest superhero movie Captain Marvel at PVR Cinemas. There were some eye-catching installation at the theatre like an Anti-Gravity booth. Also, what an amazing movie Captain Marvel is! Carol Danvers is such a strong character, follows her dreams and absolutely so empowering! Sharing the load together will bring equality within households with no fights, no arguments & no fears but more peace, love, understanding, harmony contentment, hope and co-operation. All men should come forward and share the load and spread the message of gender equality in every household. The burden should be shared and responsibilities should become lighter and there must be more love and togetherness in each family. Just a little effort it requires and life would become simpler & easier. 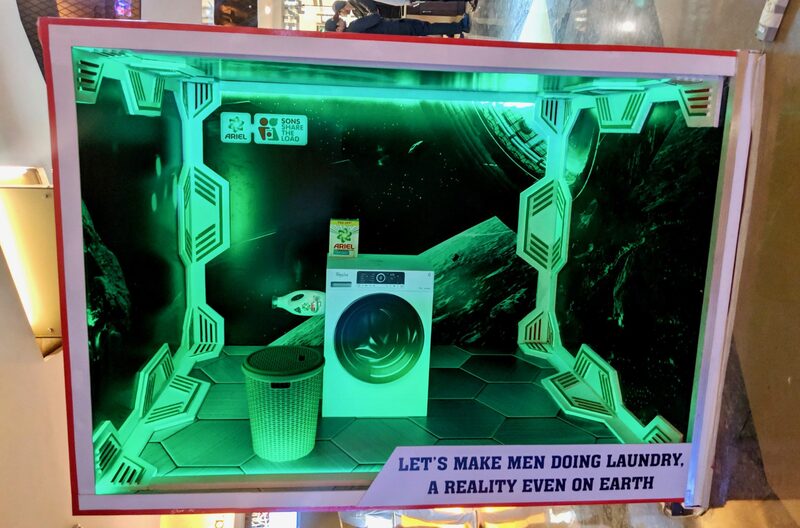 So men, are you taking part in the #ShareTheLoad campaign? Be the Superhero in your life and treat your wife and women with the love and respect they deserve! Know more about the campaign by clicking here.